Our tap water used to be great. Now it tastes like swimming pool. I love the ID bracelet! A MILLION!!! MWA HA HA HA. For real though, a lot. But the Goodwill ones I just wear a few times then I put them for sale in my shop. The ones that were given to me are the ones I keep and treasure. 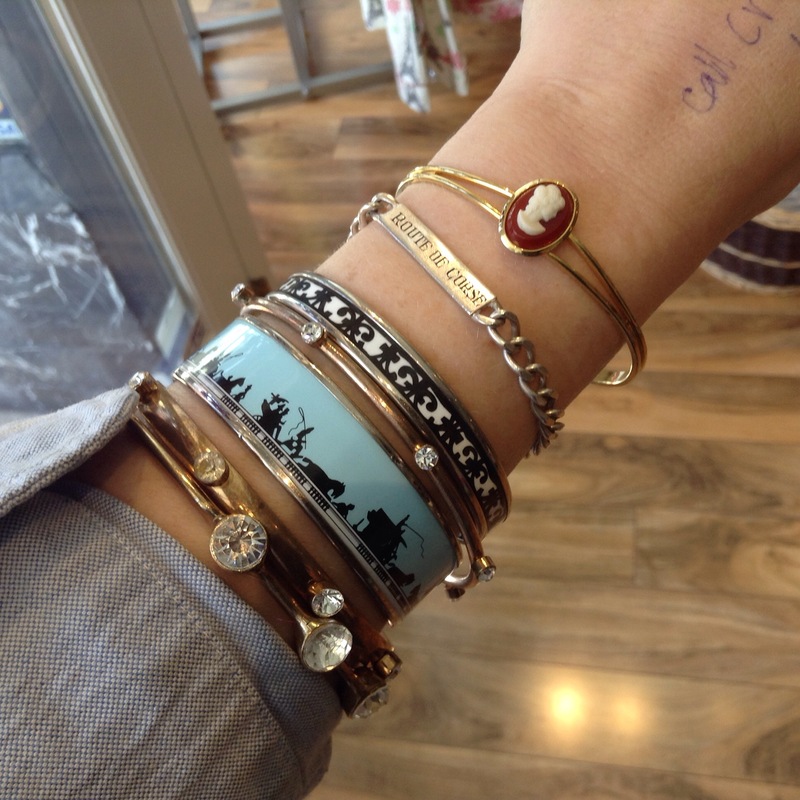 I like the Hermes blue bracelet, it looks like a piece of history with wagons and horses. I liked your mother’s I.D. bracelet, too. Pretty jewelry! Thank you! The blue one is the silhouettes of carriages along the bridges in Paris- I definitely agree it is like a piece of history. I use to LOVE hose water which is nasty as hell now that I say it. I found out it’s one of the most dangerous waters to drink(that sentence sounds so goddamn dumb) because hose water isn’t regulated at all for drinking…I drank a lot of hose water as a child. Me too. It think it was the metallic rust taste that was so appealing! Which means the nozzle was rusted. Gross. I’ll never forget delicious hose water.